Ping are one of the most recognisable brands in golf, with a reputation for making some of the finest clubs in the game. Ping drivers have been long considered some of the longest and most forgiving on the market, and the new G30 range is no different. With 3 distinct heads all offering something different, there truly is a Ping driver for every golfer and every swing, all of which come with impressively large sweet spots and high ball speeds across the face of the club. There are heads for high spin golfers, for players who struggle with a fade and those which just want something to be easy to hit and to go along way. Cutting edge research and development looks to improve every possible part of the golf club, with recent advancements coming in all areas from the face materials to head aerodynamics, and more improvements coming in every model. 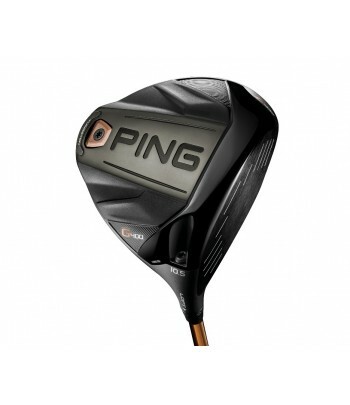 Ping drivers are used by two of the best drivers in the world, Bubba Watson and Lee Westwood, which should tell you all you need to know in terms of their distance, forgiveness and accuracy. Fantastic new driver from Ping,easy to hit and goes a long long way.More solid feeling and sounding than the previous model. CALL 01463 713793 TO ORDER COMES IN THE STANDARD MODEL OR SFT(STRAIGHT FLIGHT TECHNOLOGY)WHICH SORTS YOUR SLICE! OR LST(LOW SPINNING TECHNOLOGY), WE HAVE THEM ALL,GIVES A CALL !